Since 2013, Atomic Visual Studio has been pushing the boundaries of the audio-visual realm, collaborating musicians, brands and media to create some amazing digit art, large-scale visualizations and mind-bending eye candy for the masses. For their 5-year anniversary, they're throwing their own artist-driven block-party in Modernsky Lab, dedicated to visual madness. 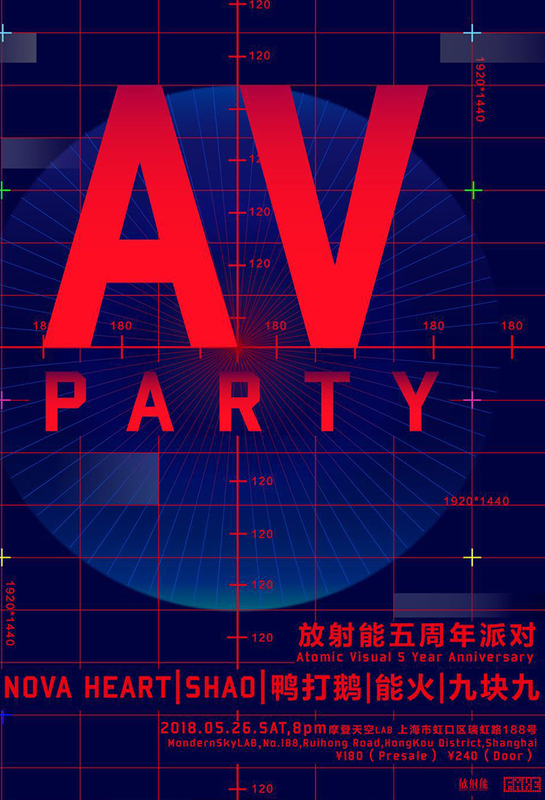 The line-up includes the like of Beijing's Nova Heart, Chinese electronic music pioneer SHAO, 'future fusion' Duck Fight Goose, new media artist Nenghuo, and open artist group 'Nine Kuai Nine,' aka 9.9. Expect an evening stunning audio-visual live sets, trippy inspired visuals, and generally an evening of mind-boggling sensory overload.